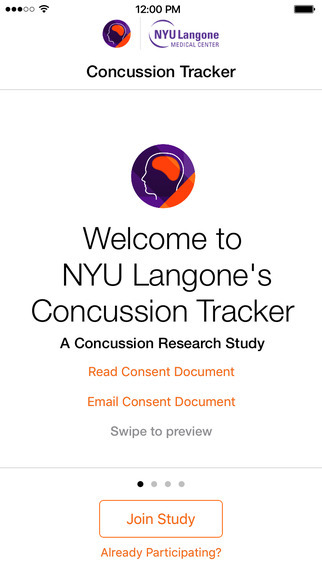 Researchers at NYU Langone Medical Center announced the launch of a new ResearchKit study looking at the symptoms people experience in the first few weeks after a concussion. According to the CDC, the incidence of concussions has been rising. And recent high profile statements about their long term impact by many professional athletes has focused a lot of attention on appropriate diagnosis and management of concussions. We recently picked the best concussion management app after an extensive literature review to define the critical features an app would need. 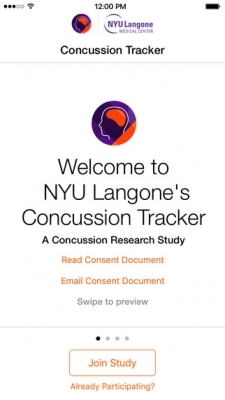 Researchers at NYU Langone will enroll patients through the Concussion Tracker app who have been diagnosed with a concussion. 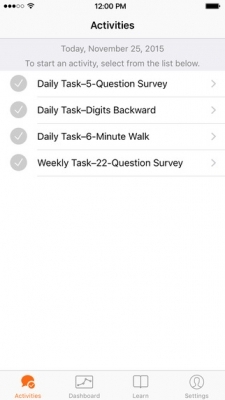 Over the six weeks after diagnosis, participants will be asked to complete three tasks every day – a symptom survey, a six minute walk test, and a test of concentration. 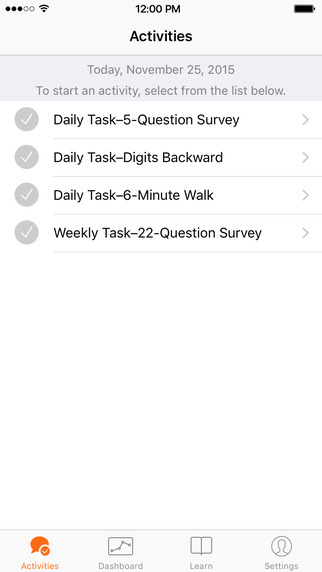 Participants can also complete some of these tasks on their Apple Watch if they happen to have one. And if they have an Apple Watch, then researchers will collect the heart rate data that it measures. 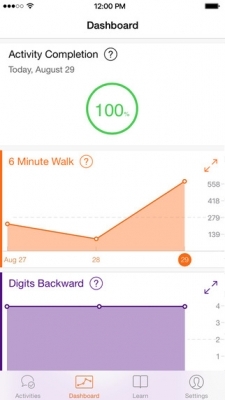 By tracking these measurements among concussion patients on a daily basis, instead of every one to two weeks at their appointments, this app and the related research project will let us assess current treatment protocols in ways not before possible, including greater understanding of how patients’ concussion symptoms improve over the course of their recovery. In case you aren’t familiar with it, ResearchKit is Apple’s open source software framework for medical researchers to build and conduct clinical studies using iPhones as well as HealthKit compatible devices. Be sure to check out our list of all active ResearchKit studies. Download Concussion Tracker on iTunes.